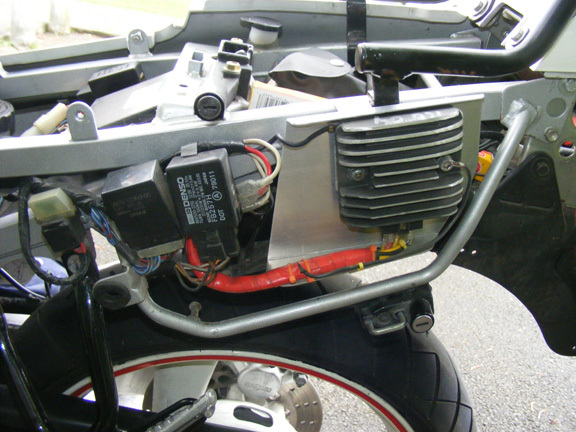 Thanks to Dr. Rockso on the FZR Online Community we know if your bike is pre-1994 it has a crap regulator after '95 the good regulators are installed. 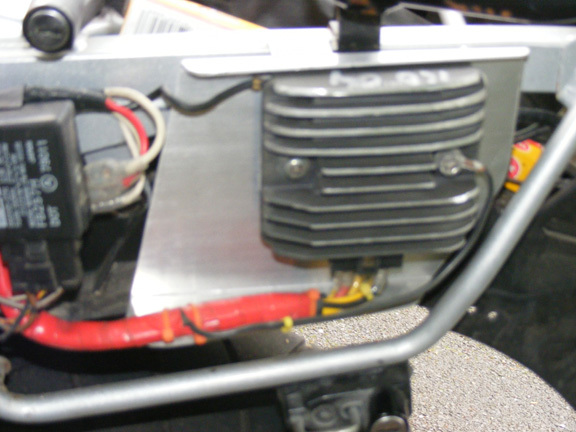 The enlarged heat plate with the VR (r6) in place so the wind from the wheel area blows along the VR casing fins. You will notice that the VR fins are ground down on each end! 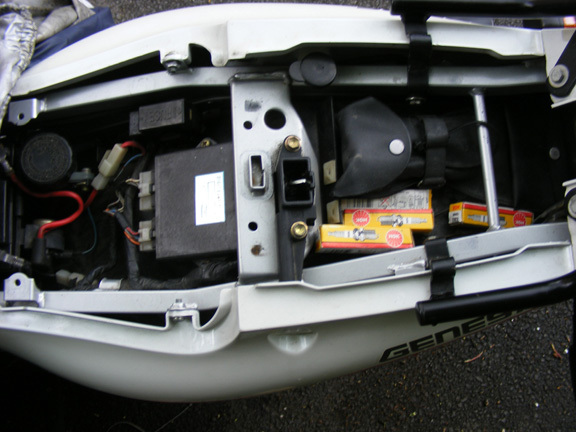 They hit the seat fairing panel since the VR has an extra padding plate beneath it covered in Heat sink paste so the moulded rubber area has extra cooling thro the padding plate & the mounting bracket.